Whirlpool Corporation has approximately $21 billion in annual sales, 93,000 employees and 70 manufacturing and technology research centers in 2016. The company markets Whirlpool, KitchenAid, Maytag, Consul, Brastemp, Amana, Bauknecht, Jenn-Air, Indesit, Hotpoint and other major brand names in nearly every country throughout the world. In Europe, Middle East and Africa (EMEA) it has approximately 24,000 employees, a sales presence in more than 30 countries and manufacturing sites in eight countries. Whirlpool EMEA is an operating segment of Whirlpool Corporation. Whirlpool Corp.’s EMEA Headquarters are located in Pero (MI), Italy. NTUA is the largest and oldest engineering university of the country, with the Chemical Engineering School being the largest in Greece and one of the largest worldwide with 4 departments and 70 academics. It participates with the research group of the Industrial Process Systems Engineering Unit (IPSEN). IPSEN has participated and/or coordinated numerous successful research and technology projects on the assessment of industrial processes with respect to the environment, and the Life Cycle Analysis of processing paths and products. It brings 25-year process design experience, offering dedicated expertise in process and product life cycle assessment leading IP research projects at EU and national level. 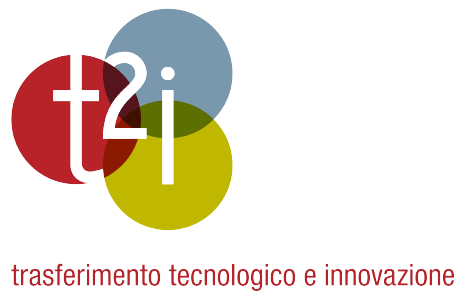 t2i technology transfer and innovation is the innovation agency promoted by the Chambers of commerce of Treviso, Verona and Venice (aka ‘Venezia Rovigo Delta Lagunare’) established in 2014 from the merging of activities, projects, personnel and facilities of two other entities: ‘Treviso Tecnologia’ and ‘Polesine Innovazione’. In 2016 also ‘Verona Innovazione’ joined t2i thus extending the services also in Verona district. t2i supports companies in defining and developing innovative pathways through the establishment of networks for technology transfer and the deployment of value-added services for industries and organizations also by means of co-funding programmes at local and European level.